Skip the line and you can enter Universal studio in a breeze with purchase of tickets via klook! Qr code is all you need to enter USJ. My friend and I went USJ during the Easter celebration period and the decoration was so cute! Anyhow, almost every part of USJ is so delightful and there are plenty of photo spots. It was so magical to enter Harry Potter area~ Highly recommend you to visit USJ if you are in Osaka! Stay on till the night if you can as I find that USJ looks even better at night! Skip the line and you can enter Universal studio in a breeze with purchase of tickets via klook! Qr code is all you need to enter USJ. My friend and I went USJ during the Easter celebration period and the decoration was so cute! Anyhow, almost every part of USJ is so delightful and there are plenty of photo spots. It was so magical to enter Harry Potter area~ Highly recommend you to visit USJ if you are in Osaka! Stay on till the night if you can as I find that USJ looks even better at night! It's very fast to buy tickets online. I didn't wait long to receive my tickets and the website sent me a confirmation with a QR code. When I arrived at the Universal Studio, I just scan the code and went in. It's a good choice to skip the long waiting line in Osaka. It's very fast to buy tickets online. I didn't wait long to receive my tickets and the website sent me a confirmation with a QR code. When I arrived at the Universal Studio, I just scan the code and went in. It's a good choice to skip the long waiting line in Osaka. 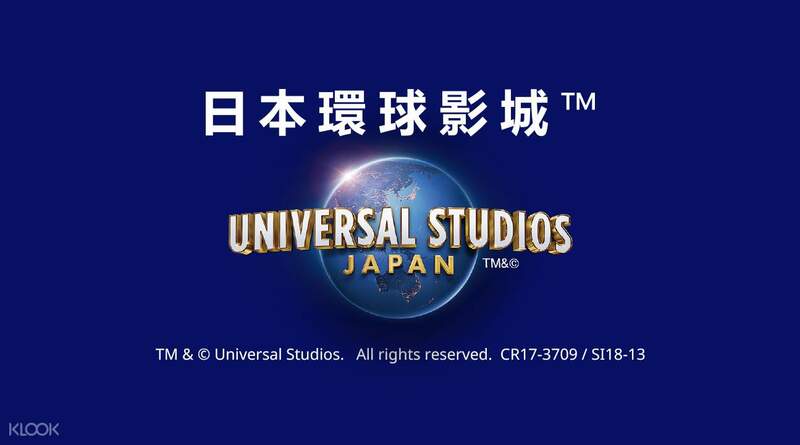 UNIVERSAL STUDIOS JAPAN WILL NOT DISAPPOINT YOU! it is a must to go if you are going to osaka for a trip, its so big that you may need to go again on a second day if you are unable to run to each rides. UNIVERSAL STUDIOS JAPAN WILL NOT DISAPPOINT YOU! it is a must to go if you are going to osaka for a trip, its so big that you may need to go again on a second day if you are unable to run to each rides. We purchased the "A" tickets and saved those in my phone. No need to print those as it is recognized by the USJ staff. The "A" ticket schedule was spot on as crowds were manageable. We got on the HP rides quite quickly, too bad there was a bit of light rain in the morning which prevented us in taking the outdoor rides. But by noontime the weather was OK. We purchased the "A" tickets and saved those in my phone. No need to print those as it is recognized by the USJ staff. The "A" ticket schedule was spot on as crowds were manageable. We got on the HP rides quite quickly, too bad there was a bit of light rain in the morning which prevented us in taking the outdoor rides. But by noontime the weather was OK.